How do I take my finger measurement? The size of your finger can be requested in any jewelry. through an appropriate ring-sizer you can get the correct size. The procedure is very simple and you will hardly be denied a little courtesy. Otherwise if you already have rings at home, you can download our file at the link below (to be used only in special cases; the measurement by a professional jeweler would be better). How long does it take for me to get the purchased product? Once purchased, the jewel takes 10-15 working days for the realization and this period may vary according to the selected superficial treatment (the rhodments take a little longer). Then, we will ship your item and deliver it within 24/48 hours. 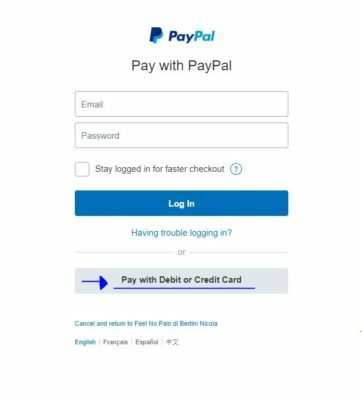 We manage our Payment methods through Paypal: it is safe and easy. TO pay by Card just click on the button as in picture. Can I request custom items? Yes, we can create customized items on specific request. This is why we have also created a specific section of the CUSTOM website where you can propose your idea. An initial payment is required to proceed with the work.